I was asked to take someone to the truck repair shop today. The shop guy said that it has been there since the late 1960″s. It’s a totally cool place. So much character. 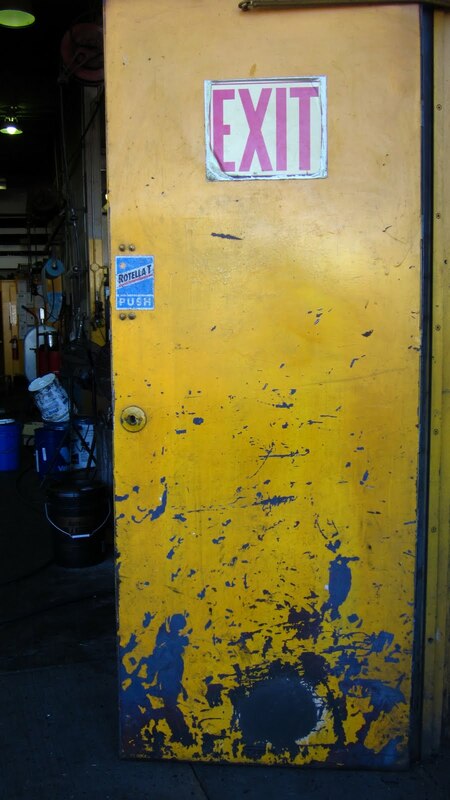 If i look at that door for very long, i start to see images of things in the blue and black areas. There has been bottling going on at the winery this week. Thus, the truck at the repair shop. Why stuff happens when we truly need the truck…i don’t know. But, they fixed her up quick and got her back on the road.